THESE WOMEN TOOK THE LIFE OF THEIR YOUNG MAID AND THE WHOLE PAKISTAN NOW WANTS JUSTICE FOR UZMA! 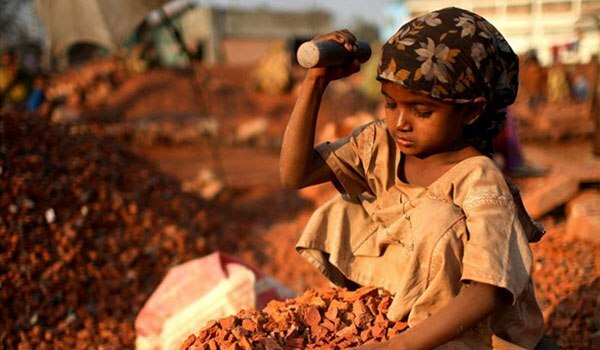 Child labor in Pakistan is one of the most common problems that need to be fixed and sorted out. 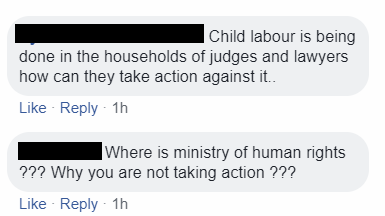 Several children are forced to work in the agricultural sector and if they’re not doing that, they’re occupied changing diapers, cooking, cleaning and washing clothes for the elite ones here in major cities. Although, who’s to blame? Our society suffers from poverty which leads poor families to surrender to hunger and basic needs. Parents have to make ends meet which then means the children have to strive to chip in the house for the bread and butter. The cases of young girls suffering in Pakistan is no surprise and we often come across incidents that show how they are mistreated physically and emotionally. 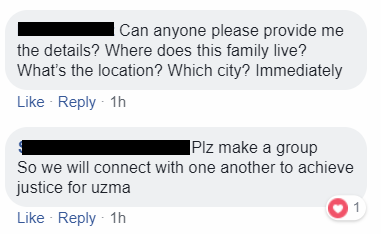 A similar case that we came across was of a young girl named Uzma who was physically tormented and electrocuted and once she drew her last breath, she was tossed in a watercourse like she’s a useless piece that we no longer require in our house. The women, of this family, who were behind all the torment must be sentenced in prison for life with no sympathy shown. Cases like Zainab Ansari and Uzma have now become the bitter truth of our society and the fact that there’s no one to take a stand to hinder the reoccurrence of such incidents just exhibits the efficiency of our laws. Today, every other person has somehow gotten the license to end lives of innocent people. Children in Pakistan are engaged in child labor, including in agriculture and in the worst forms of child labor in bonded labor. The majority of child labor in Pakistan occurs in agriculture. The constitution of Pakistan respects the children rights and provides for depending children. According to to the constitution, no child under the age of fourteen should be employed in any factory or mile or any other hazardous employment. Human right commission of Pakistan reports, social attitudes, large family size and low literacy rate as factors of child labor in Pakistan. What do you have to say about this? About child labor, about the unfair treatments to servants, about everything that is left unnoticed, what do you have to say? If no proper action is taken against any of these cases – there will never be a proper solution. Let us know in the comments section below.